“So God can watch his team play,” I said, without missing a beat. My mom, who was along for the ride on this Dallas Cowboys Stadium tour just stared at me. “I’ve been watching the Cowboys for 40 years, and I’ve never heard that,” she said. The exchange tells you pretty much all you need to know about what it’s like to be a fan of the Dallas Cowboys. Growing up in Texas in the 1990s, the Cowboys were religion. After all, they won three Super Bowls in four seasons from 1992-1995. 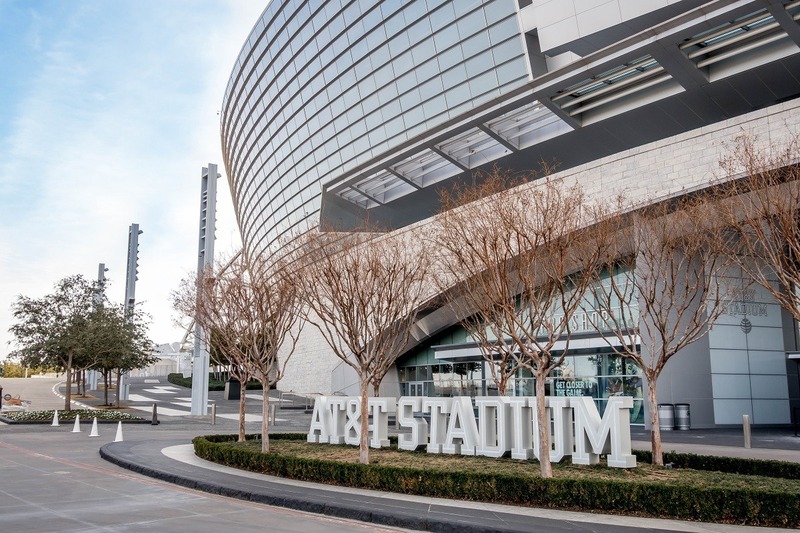 Though success in recent years has been a bit spottier, the team’s popularity is as high as ever, which was evident on my recent tour of the team’s stadium in Arlington, a suburb of Dallas, Texas. AT&T Stadium, the official name of Cowboys Stadium, has all the grandeur you would expect from Texas. This mammoth space is way more than a football stadium, though. It’s an art gallery, an event space, a shopper’s delight, and, of course, a football lover’s paradise. A visit here is one of the most unique things to do on a visit to Dallas. 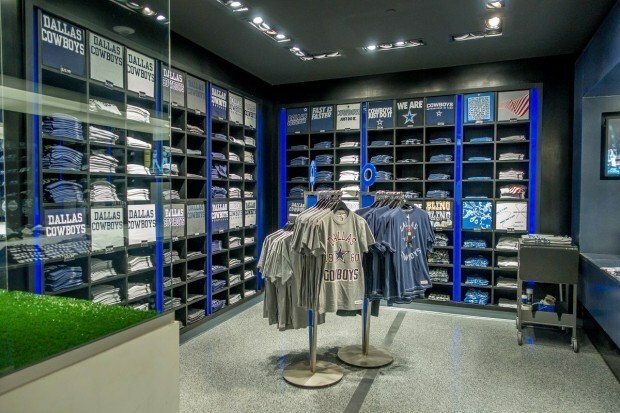 The first thing you see when you enter the building for the Dallas Cowboys Stadium tour is the gift shop. Larger than some department stores, the two-floor shop offers pretty much everything you could imagine in the way of team merchandise, and much of it is customized on-site. The tributes to the Cowboys’ greats begin here, too, with photos of former coaches and players who are instantly recognizable to football fans. The tour wastes no time in making an impression. 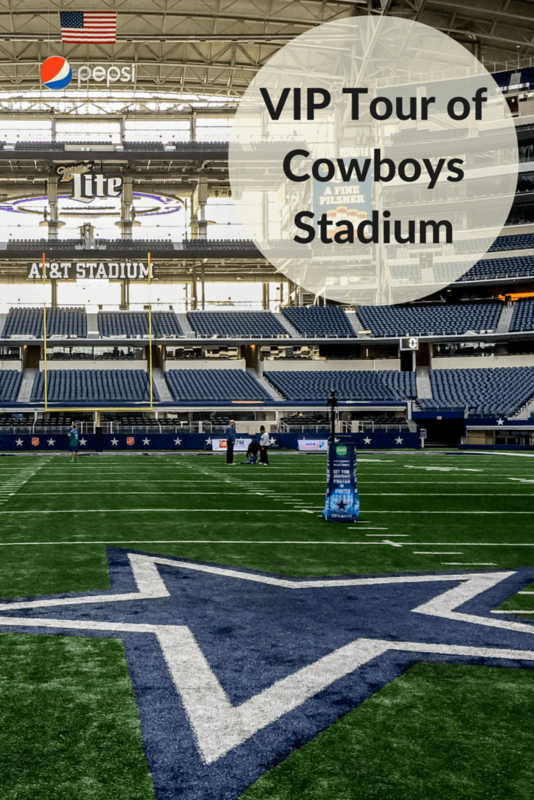 Within just a few minutes in the largest domed stadium in the world, the field sprawls out before you, the Cowboys’ iconic blue and white star in the middle. 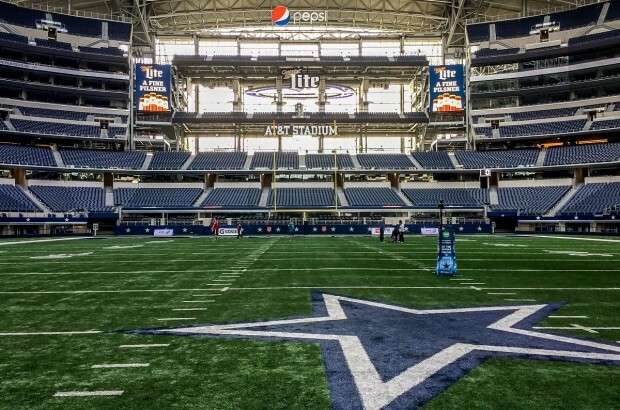 Surrounded by 80,000 seats, you understand the meaning of “everything is bigger in Texas.” If you visit on a day the field is open to visitors, you can even throw the football around a little. Leaving the field, you are enveloped by the maze of tunnels that runs through AT&T Stadium. There are passages where buses and cars can drive into the building, carrying players and other VIPs. 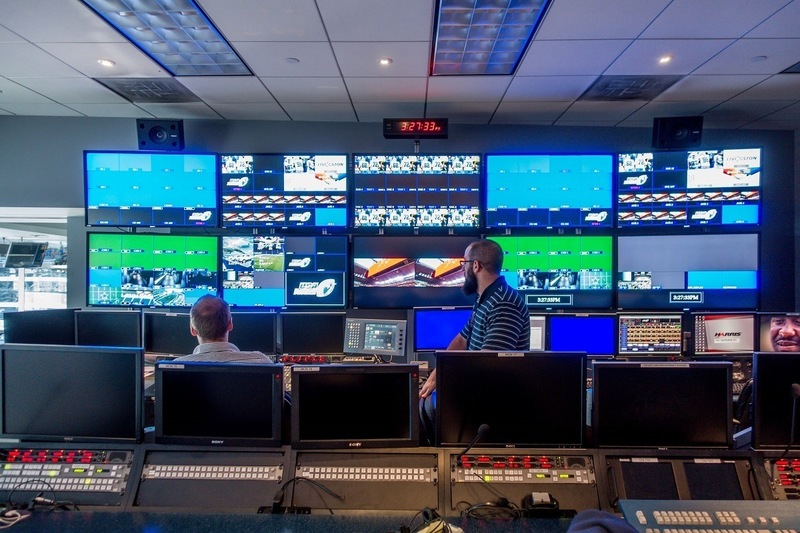 There are enormous storage and staging areas for the equipment used for the events that happen nearly every day at the stadium. At times, it feels like an underground city as carts, supplies, and some of the stadium’s 7000 employees go passed (of course there aren’t so many on non-game days). You also have a chance to walk through the ultra-exclusive Miller Lite Field Club, where the players enter the field. Nearby, you can step up on the podium where the players hold each of their post-game press conferences when they’re at home. Above ground, AT&T Stadium features 58 works of art, 16 of which were commissioned especially for the stadium. You’ll pass a number of them on your walk through the stadium, but there are also special tours available and an app to access more information about the pieces. VIP tours are available, along with self-guided tours, and tours focused on the art of the stadium. 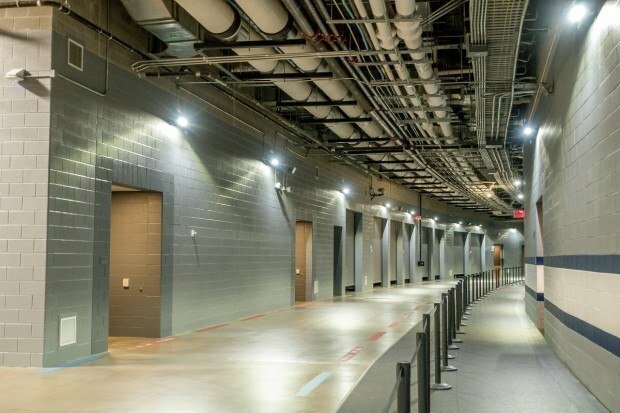 The self-guided Dallas Cowboys tour sticks primarily to the field and locker room, so you miss out on the owners’ suites, press room, and more. 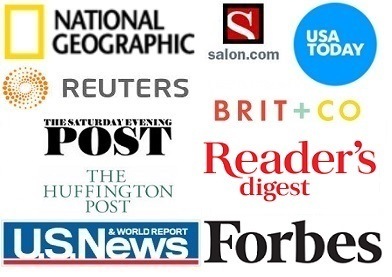 Availability is dependent upon events (and games, of course) at the stadium, so check carefully to ensure that the tour you want is available when you plan to visit. This is especially important if you want to visit the field, which is not open every day. If a photo on the field is a top priority, bring a football with you or buy one in the gift shop. 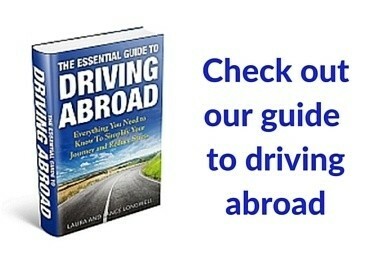 Plan to buy tickets ahead of time as they do sell out, even at times you may not expect. 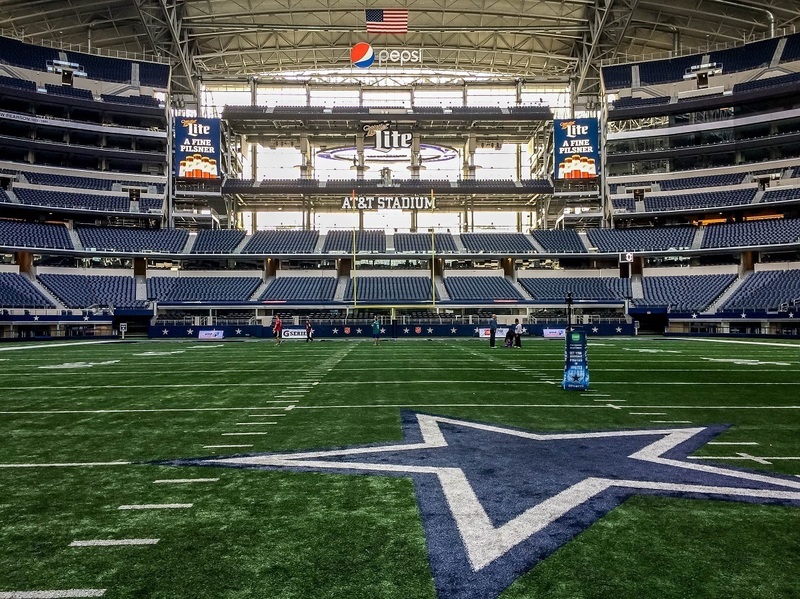 We were the guests of the Dallas Cowboys for our AT&T Stadium tour. As always, opinions of the enormous and sporty are our own. 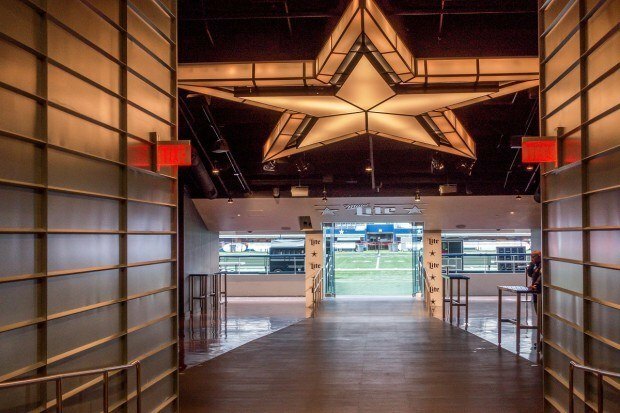 What do you think about The VIP Experience on a Dallas Cowboys Stadium Tour? Life-long Giants fan here and I gotta say, this place and the old Boston Garden are the 2 spots I’d love to visit, more than any. 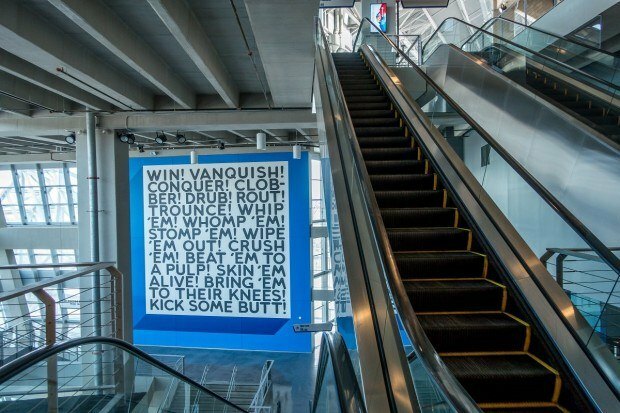 Amazing facility from your recount and oh yes, I know all about the God quote 😉 My best friend grew up a Boys fan in NJ, and heck, whenever they come to town half the stadium roots for them. Truly America’s team! We took the VIP Tour a few days ago. Barbara. Our Tour Guide made Me feel like a “Kid in a Candy Store.” I was allowed to ask all the silly questions I wanted. 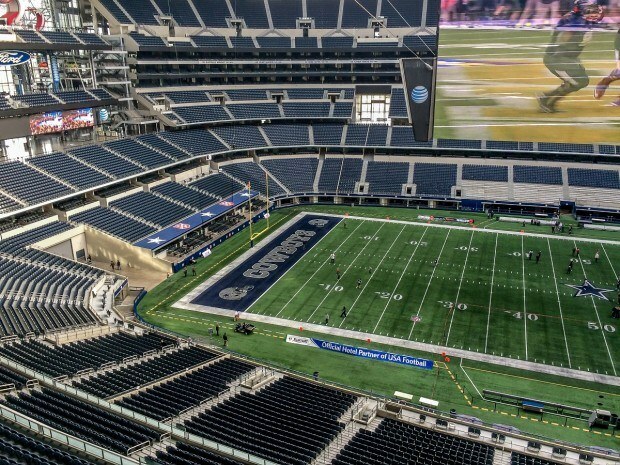 To see inside My Beloved Cowboy’s AT&T Stadium. Was simply Magical! We like the way the Stadium was designed with the Fans in mind! Thank You Mr.Jones! You Did Good!